Friday, November 30, 2018 — Today marks World AIDS Day with the OECS HIV/TB Elimination project releasing a series of Public Service Announcements on HIV awarness and advocacy in conjunction with civil society organizations and various Ministries of Health. 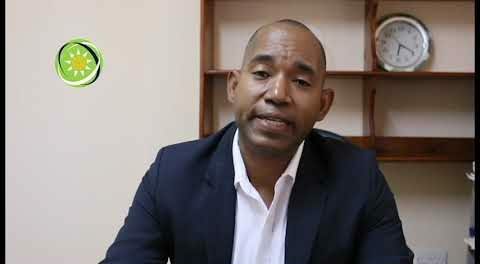 OECS HIV/TB Elimination Project Coordinator Dr. Cleophas D’Auvergne said the ‘Know your Status’ theme for 2018 was an opportunity for all citizens across the OECS to join in a worldwide movement to unite in the fight against HIV to raise money, increase awareness, fight prejudice and improve education & health outcomes. “While major scientific advances have been made in the fight against HIV/AIDS there is still a long way to go globally but knowing your status is a vital first step” said Dr. D’Auvergne. “We encourage the media to continue broadcasting the PSA’s to complement our own awareness efforts as together, united as one informed citizenry, we will prevail in the global fight against HID/AIDS” said Dr. D’Auvergne.